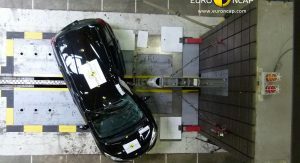 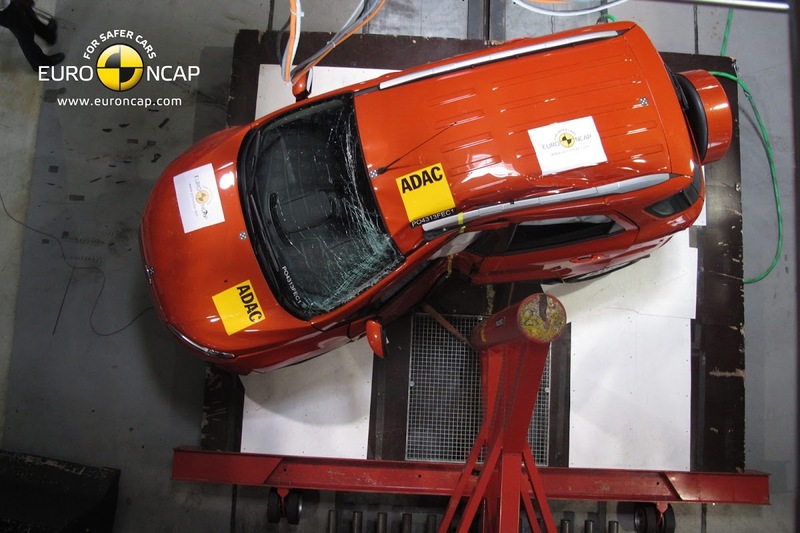 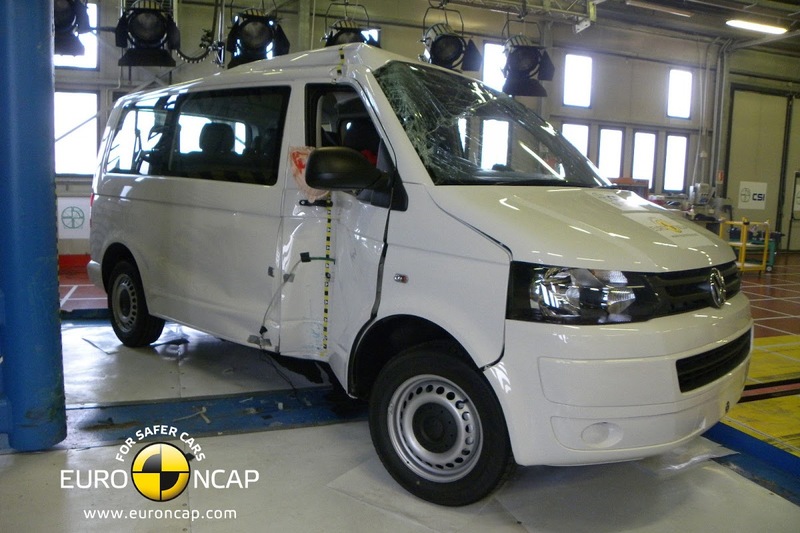 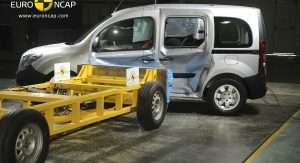 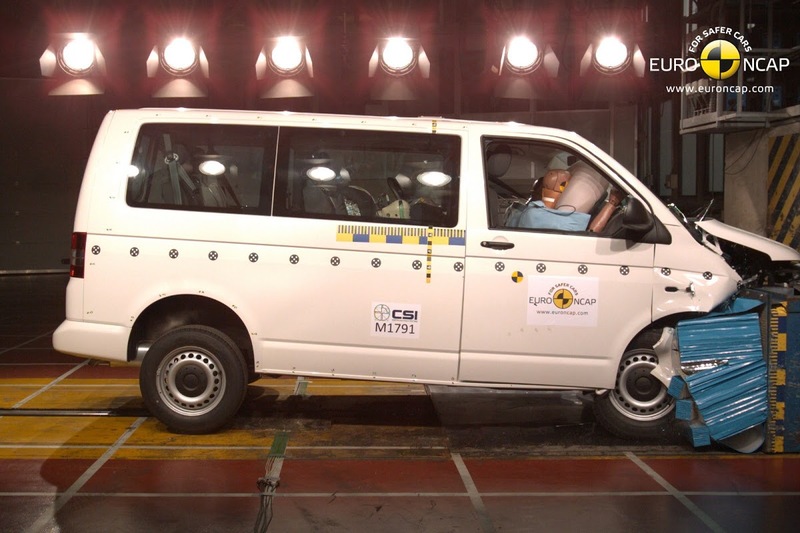 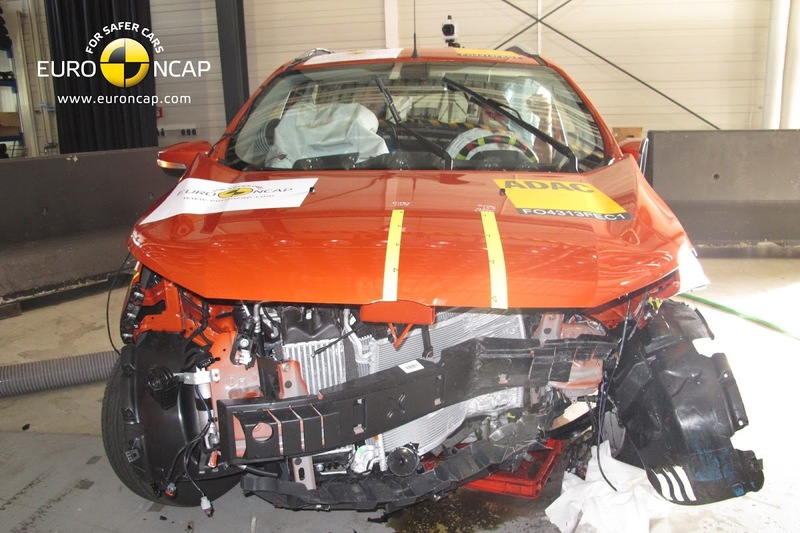 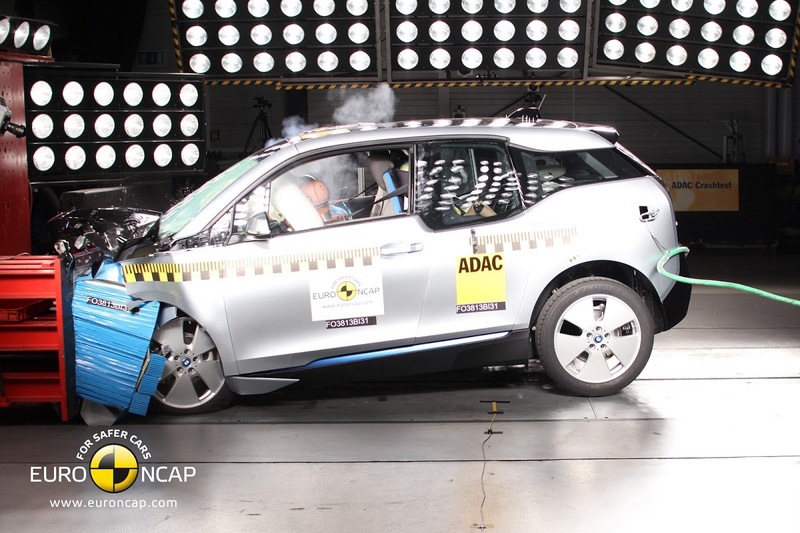 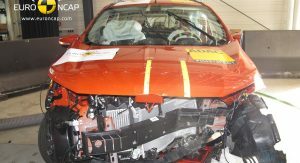 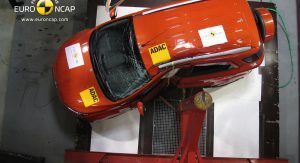 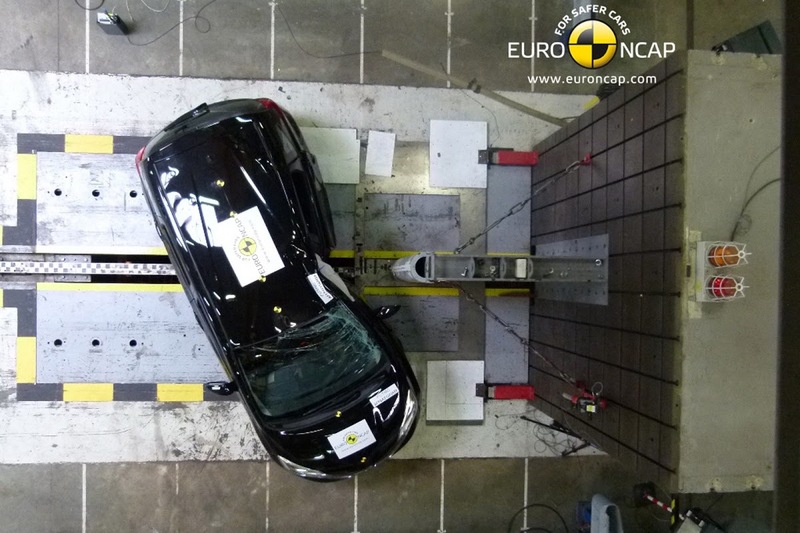 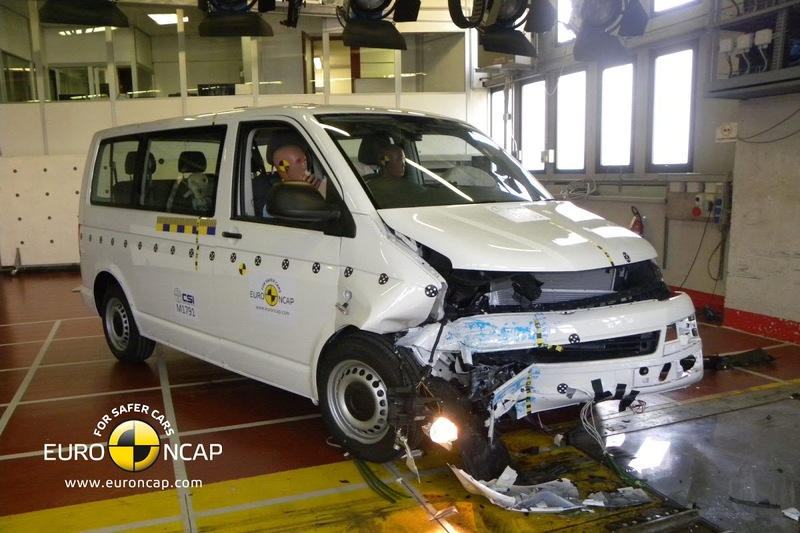 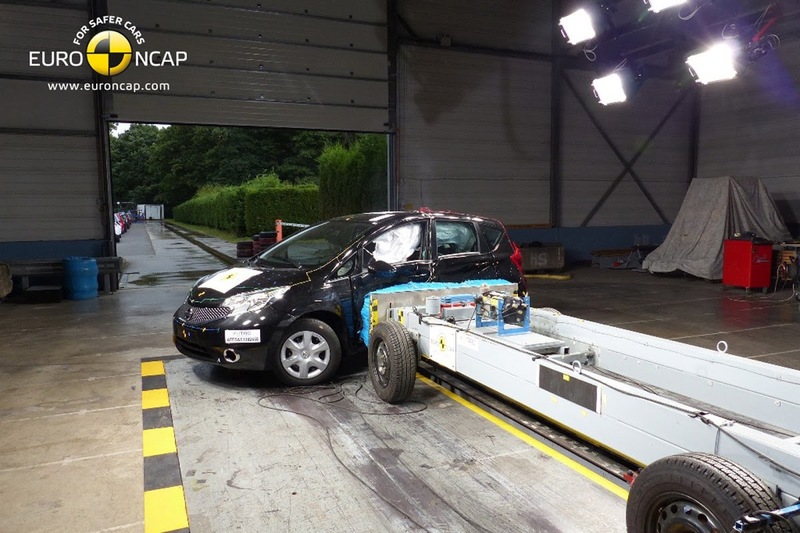 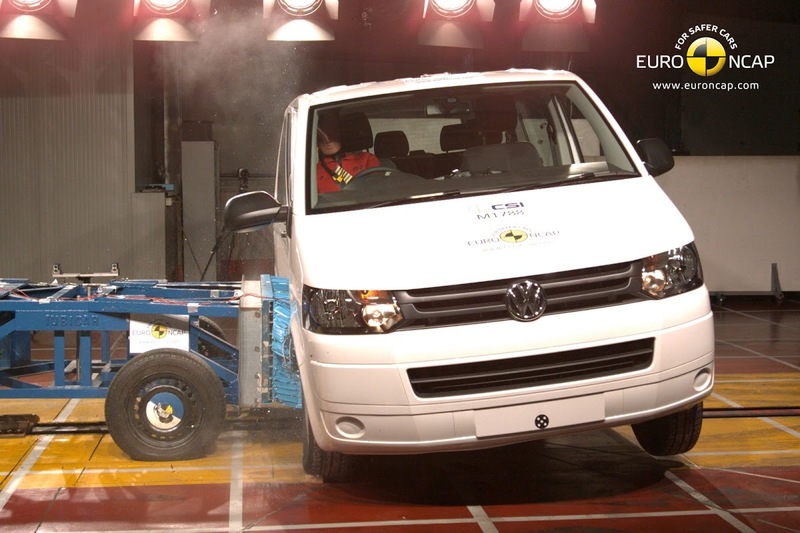 EuroNCAP has released a fresh batch of crash-test results for new vehicles, and not everyone will be happy after seeing the outcome. 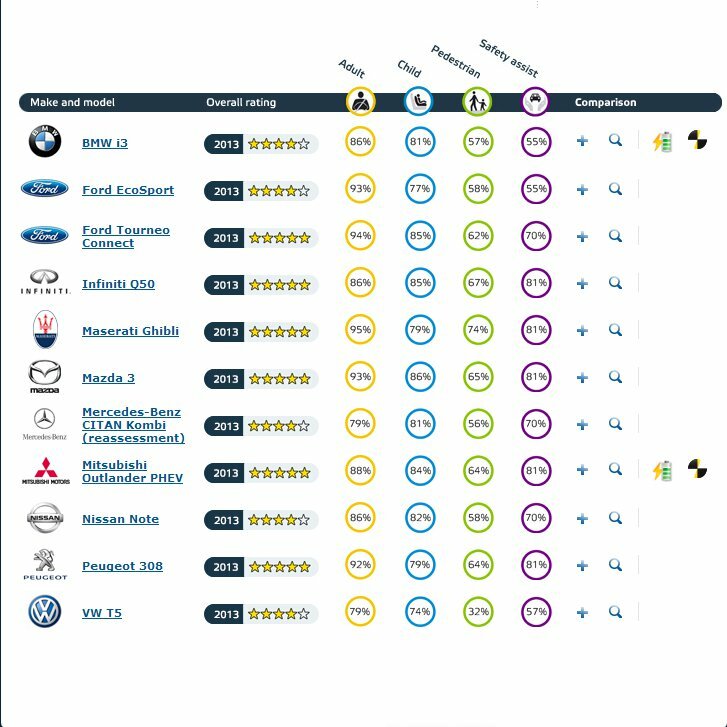 The recently launched BMW i3 EV, Ford EcoSport and Nissan Note only received four stars out of a maximum of five, with the VW T5 van also awarded with four stars. 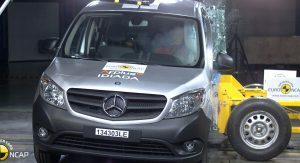 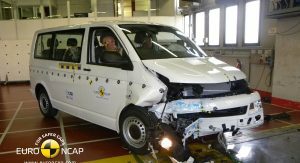 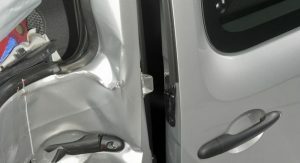 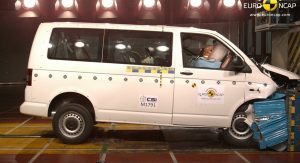 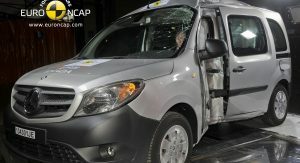 The Mercedes-Benz Citan was reassessed and obtained a four star rating, after only receiving three stars in its first crash test. 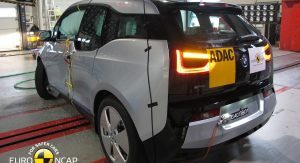 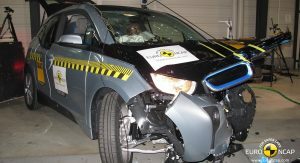 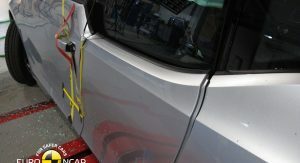 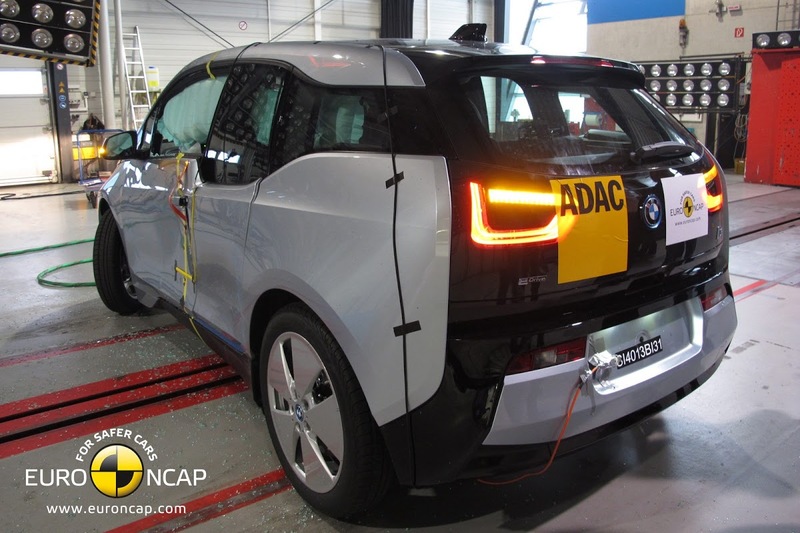 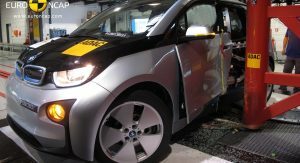 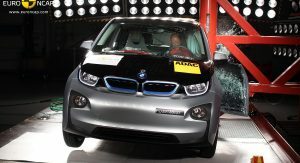 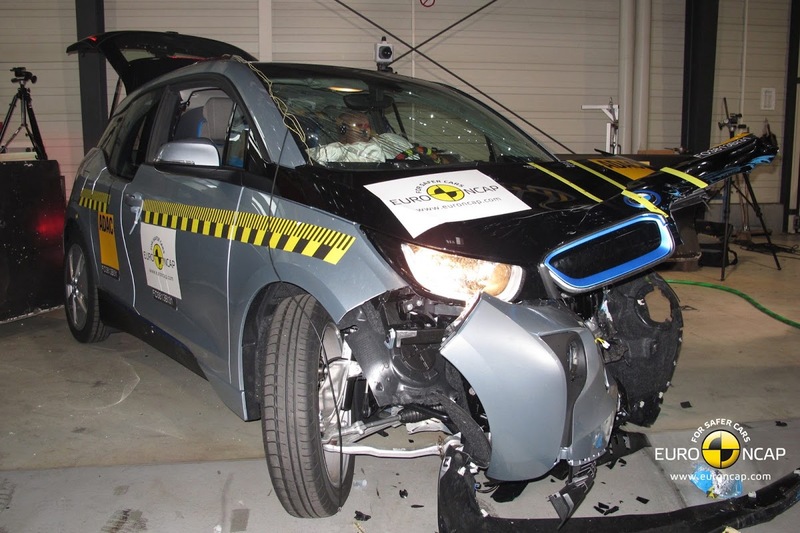 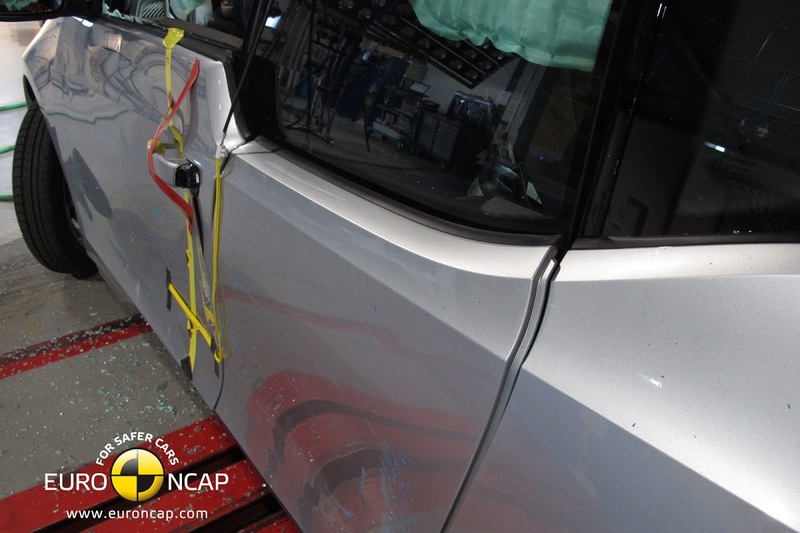 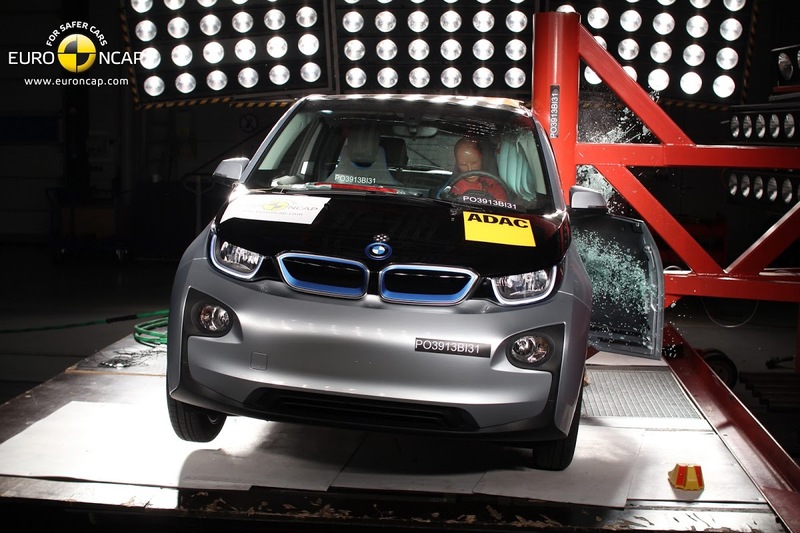 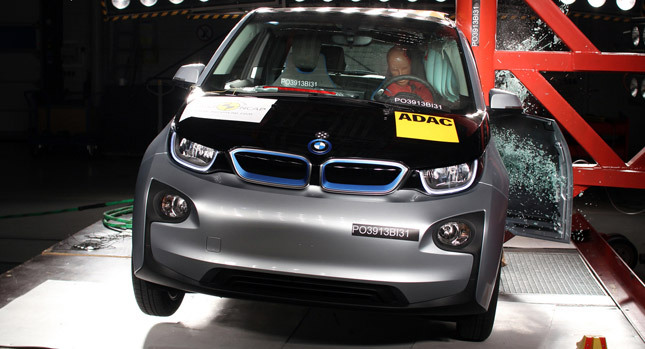 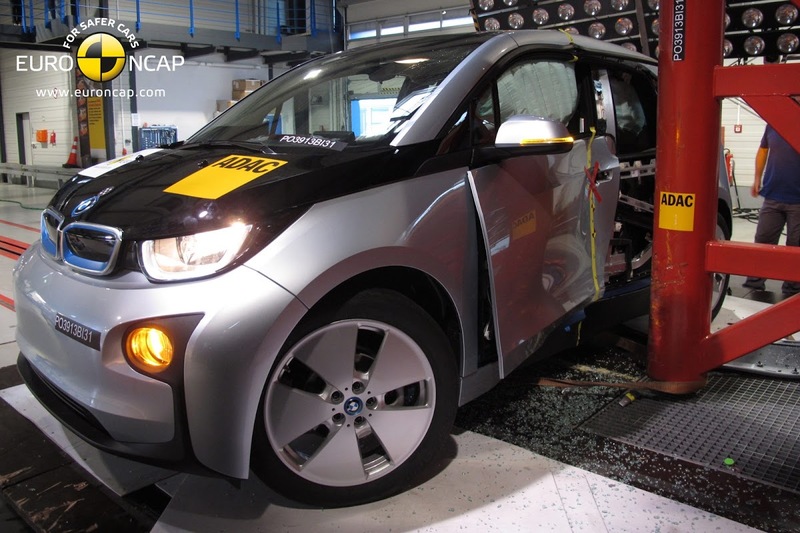 While the BMW i3 did well in terms of adult occupant protection (86 percent) and child occupant protection (81 percent), it was penalized for a rather low score on pedestrian protection (57 percent) and for the lack of safety assist systems like a speed assistance system – although BMW offers an optional sign recognition speed limit system, EuroNCAP said it doesn’t reach its minimum fitment rate to be assessed. 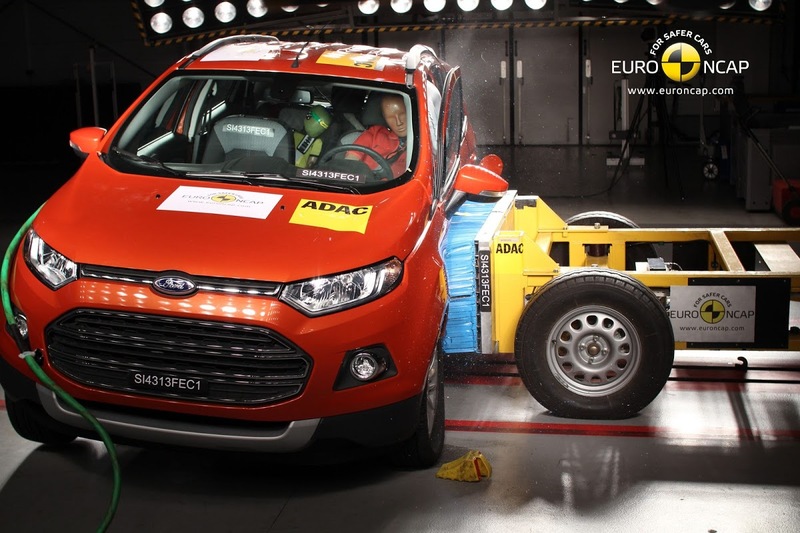 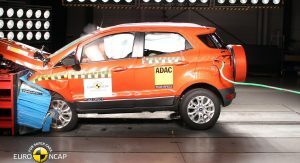 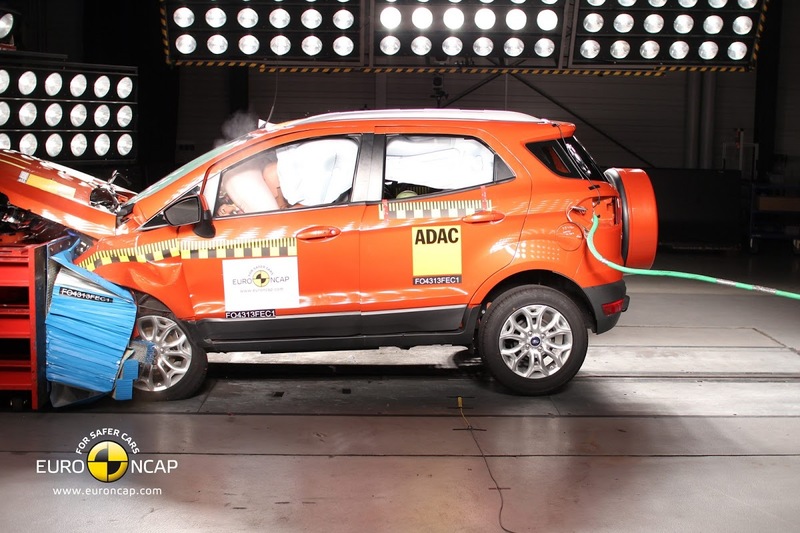 The score of 55 percent for safety assist (shared with the Ford EcoSport) is the lowest from this latest crash test session. 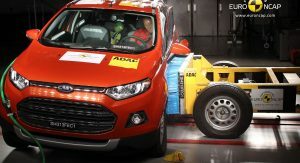 Speaking of the Ford EcoSport, the small SUV got a good rating for adult occupant protection (93 percent), managed 77 percent for child occupant protection and only 58 percent for pedestrian protection. 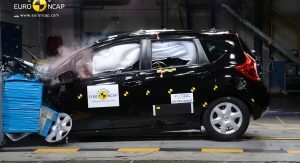 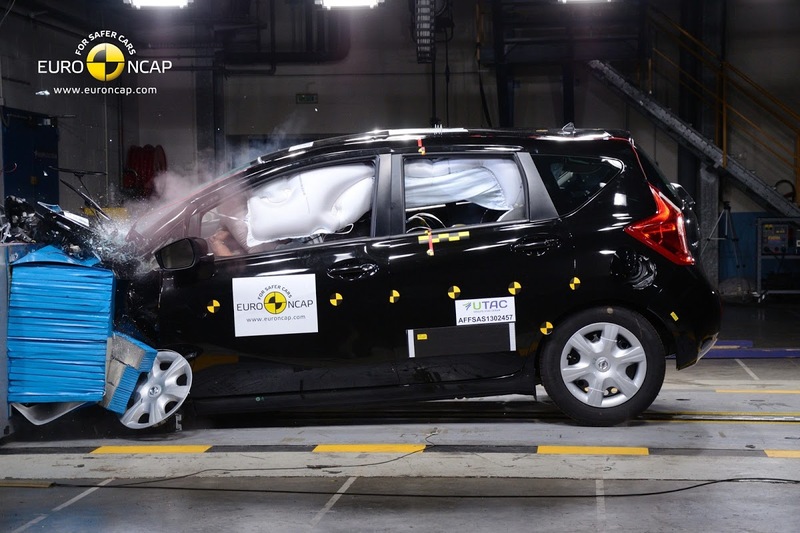 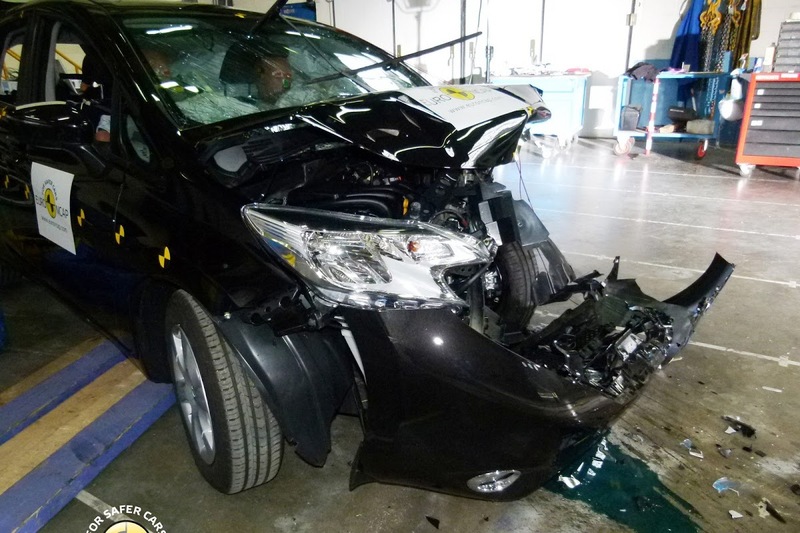 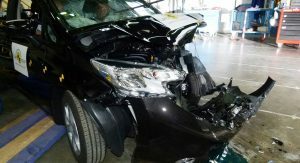 The Nissan Note scored 86 percent on adult occupant protection, 82 percent on child occupant protection, but only 58 percent for pedestrian protection. 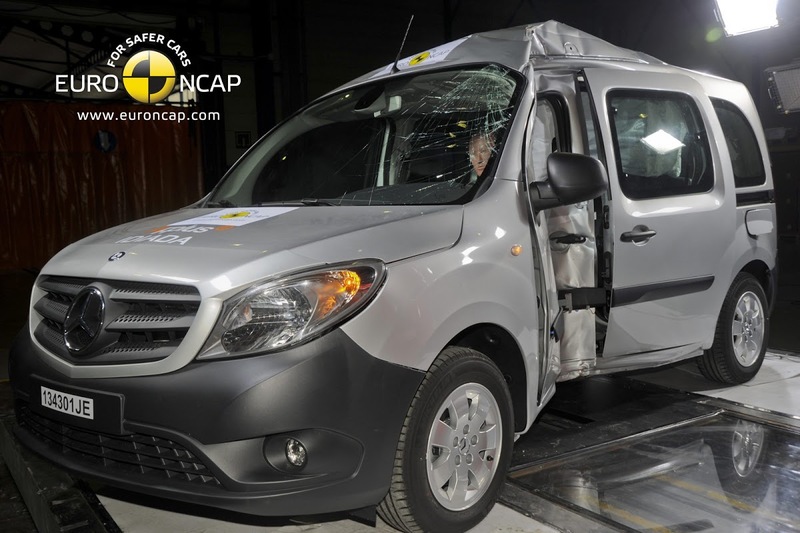 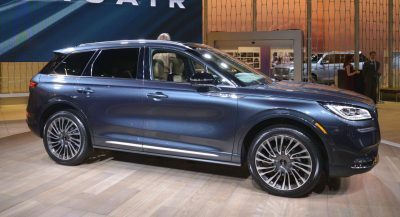 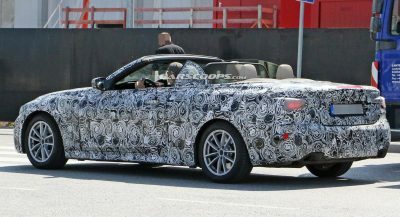 However, it got the highest rating for safety assist (70 percent) of the 4-star rated cars, together with the Mercedes-Benz Citan, thanks to the availability of a speed assistance system. 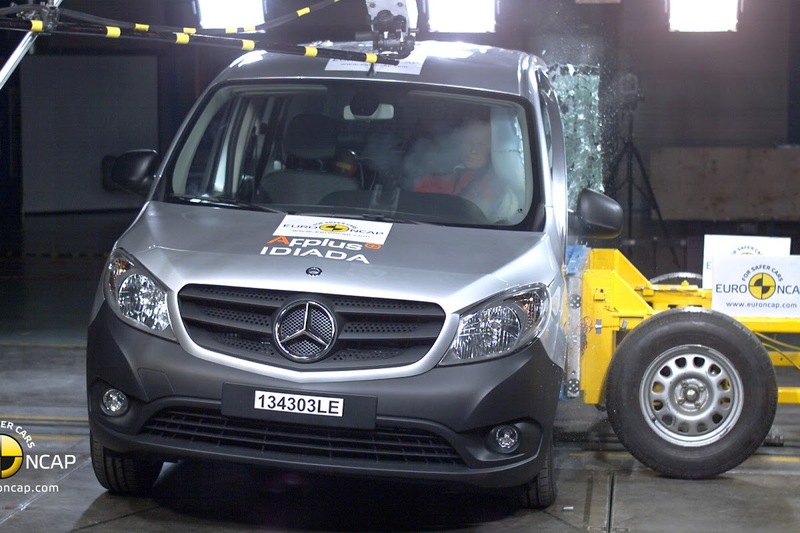 The Mercedes-Benz Citan returned for a reassessment after only getting 3 stars in May this year. 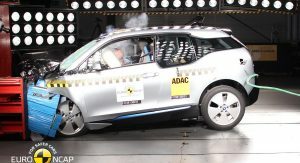 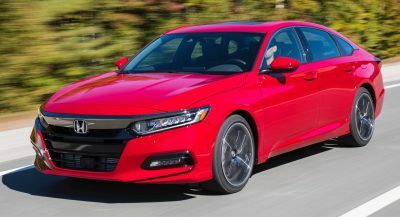 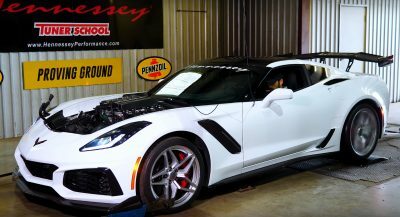 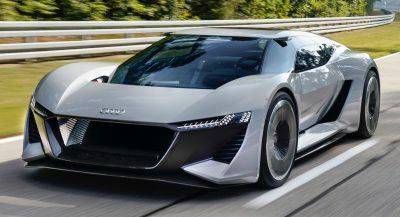 It did better this time, getting a 4-star overall rating with a score of 79 percent for adult occupant protection, 81 percent for child occupant protection, 56 percent for pedestrian protection and 70 percent for safety assist. 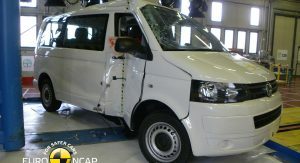 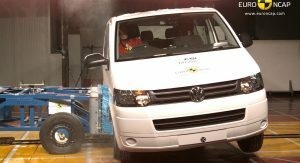 Finally, the facelifted VW T5 accepted 4 stars, although it was the worst in terms of pedestrian protection, with a low rating of 32 percent. 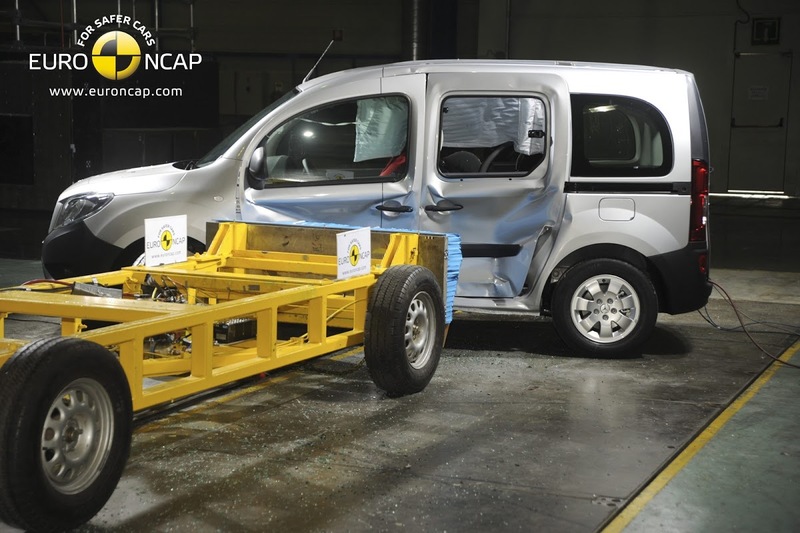 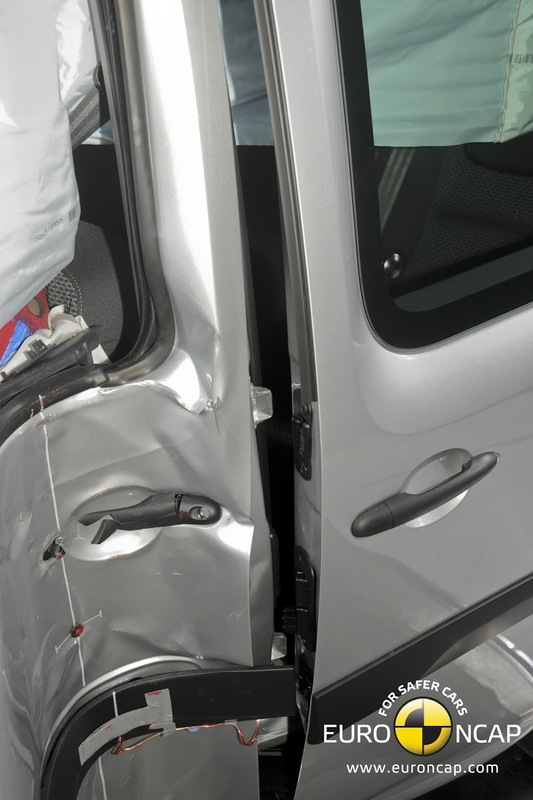 Adult occupant protection and child occupant protection were reasonable at 79 percent and 74 percent, respectively, while safety assist was rated at 57 percent.